This list of professional and scholarly journals is useful to practitioners in keeping up-to-date with current developments, issues and trends in our profession. American Libraries, the magazine of the American Library Association, is published 6 times yearly, with occasional digital supplements, by the American Library Association. College & Research Libraries (C&RL) is the official scholarly research journal of the Association of College & Research Libraries, a division of the American Library Association. C&RL is a bimonthly, online-only publication and hosts periodic live online fora highlighting a new C&RL study with a free, live, expert panel comprised of the study’s authors and additional subject experts. Established in 1966, College & Research Libraries News (C&RL News) provides articles on the latest trends and practices affecting academic and research libraries and serves as the official news magazine and publication of record of ACRL. EBLIP is an open access, peer reviewed journal that is published quarterly, hosted by the University of Alberta Learning Services, and supported by an international team of editorial advisors. The purpose of the journal is to provide a forum for librarians and other information professionals to discover research that may contribute to decision making in professional practice. EBLIP publishes original research and commentary on the topic of evidence based library and information practice, as well as reviews of previously published research (evidence summaries) on a wide number of topics. Journal of Librarianship and Information Science (JOLIS) is the peer-reviewed international quarterly journal for librarians, information scientists, specialists, managers and educators interested in keeping up to date with the most recent issues and developments in the field. JNL was founded to address the need to offer quality literature in our field in an open, independently produced journal. Beyond that, we believe that the library is meant to set an example for academia. Free and open access to information and innovation is crucial to the future of our institutions and profession. By providing an outlet that mixes both traditional and disruptive forms of scholarly and professional communication, we can change the way our profession shares and leads. Library & Information Science Research, a cross-disciplinary and refereed journal, focuses on the research process in library and information science as well as research findings and, where applicable, their practical applications and significance. Library Journal is a publication for the library community, across all sectors. 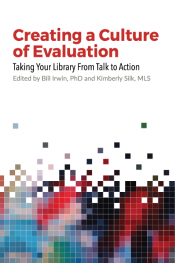 Library Trends is an essential tool for professional librarians and educators alike. Every issue explores critical trends in professional librarianship, and includes practical applications, thorough analyses, and literature reviews. Each issue brings readers in-depth, thoughtful articles, all exploring a specific topic of professional interest. Every year, Library Trends covers a wide variety of themes, from special libraries to emerging technologies. Partnership is a library and information practitioner’s journal published twice a year. Papers may be submitted at any time for publication consideration. Potential articles are reviewed by members of an editorial committee. Articles are published in several categories. Feature articles on theory & research and on innovations in practice are in-depth, peer-reviewed papers that typically fall in the range of 3,000 to 7,000 words. Other types of articles accepted include viewpoints, conference presentations, profiles, news & announcements, professional development and reviews. Public Libraries, published six times a year, is the official journal of the Public Library Association (PLA) and the only ALA journal devoted exclusively to public libraries. Performance Measurement and Metrics (PMM) is a leading quarterly, double-blind refereed, international journal, charting new qualitative and quantitative developments and techniques for measurement and metrics in Library and Information Science (LIS). Public Library Quarterly is addressed to leaders — directors, managers, staff, trustees, and friends — who believe that change is imperative if public libraries are to fulfill their service missions in the twenty-first century. As a leading interdisciplinary journal of library research, The Library Quarterly embraces a wide array of original research perspectives, approaches, and quantitative, qualitative, evaluative, analytic, and mixed methodology to assess the role of libraries in communities and in society. Through unique and innovative content that positions libraries at the nexus of information, community, and policy, The Library Quarterly publishes cutting-edge articles, essays, editorials, and reviews that inform, enable, equalize, and lead. Across these areas, all content in the journal ties to contemporary issues impacting libraries and librarianship. Through such research, the overarching goal of The Library Quarterly is to engage researchers, educators, professionals, and students interested in the roles of the libraries in the lives of individuals, communities, and nations.